Taking care of your special foot needs! M T Cobbler has served the Connecticut Shoreline and surrounding areas since 1987. We are a full-service shoe center. We carry a variety of casual, sport, dress and work shoes and boots, all suitable for adding custom or pre-made orthotic inserts, or just wearing as is. We also offer full-service shoe and boot repair and custom or ready-made orthotics. We also carry a full selection of shoe maintenance and foot care products by Aetrex, Apex, Lynco, Meltonian, Spenco, Tacco, and more. 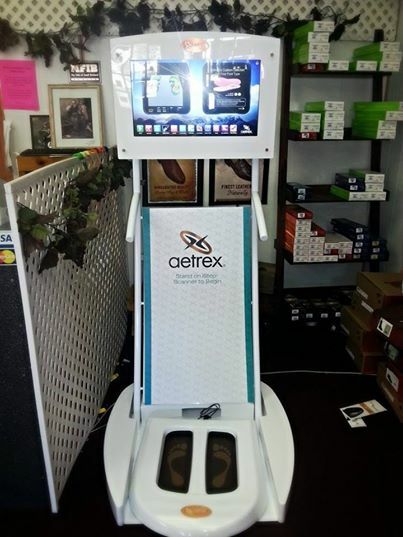 Stop in for your FREE Foot Analysis using our iStep Computer! Our service area includes the greater New Haven area and the Connecticut shoreline, including New Haven, Fairfield, and Middlesex counties, and are easily accessible from both I-95 and I-91. Copyright 2011 M T Cobbler -- Shoe Repair, Pedorthics, Comfort Shoes. All rights reserved.